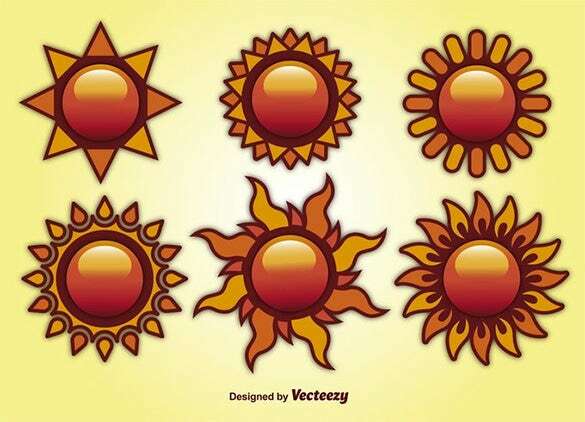 47+ Sun Vectors – EPS, PNG, JPG, SVG Format Download! 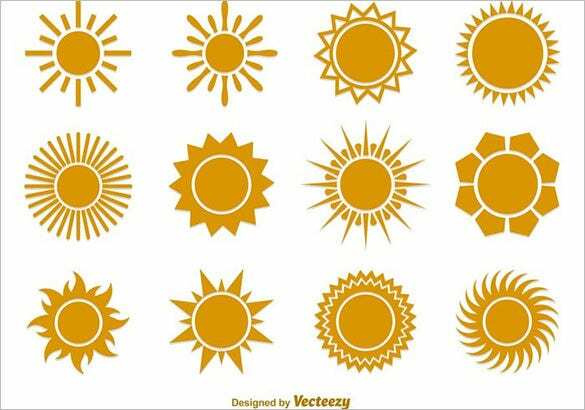 Sun vectors are beautiful icons that come in a wide range of designs. 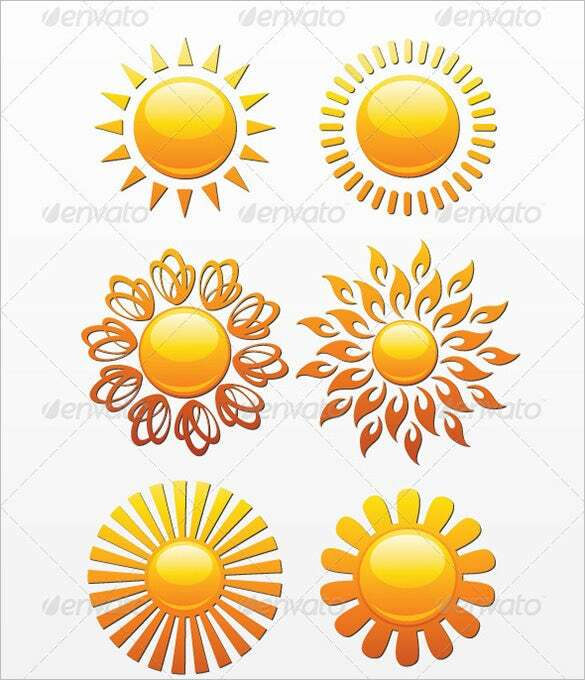 Sun vectors can be used to show lovely sun expression which looks funny and pleasing at the same time. Some of these icons look very artistic and different. There are a variety of patterns like funny, cartoony, practical, cheerful, abstract backgrounds and many more cool icons. You can also see Eye Vectors. 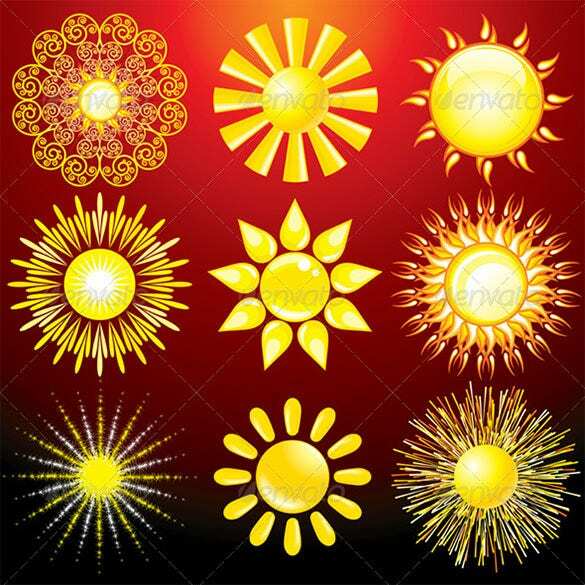 The 16 premium sun vector for you is a collection of six sun vectors that looks incredibly beautiful and shiny and will be the best choice for your company logo. 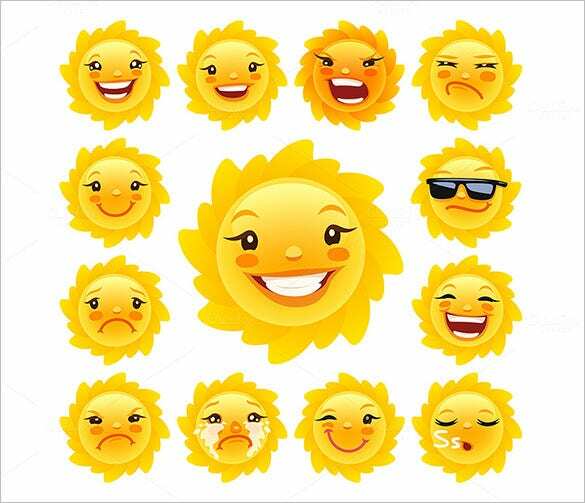 The Cartoon Sun character is a set of thirteen different sun vectors that are used to show thirteen types of emotion using the sun as a face. A perfect choice for expressing emoticon. 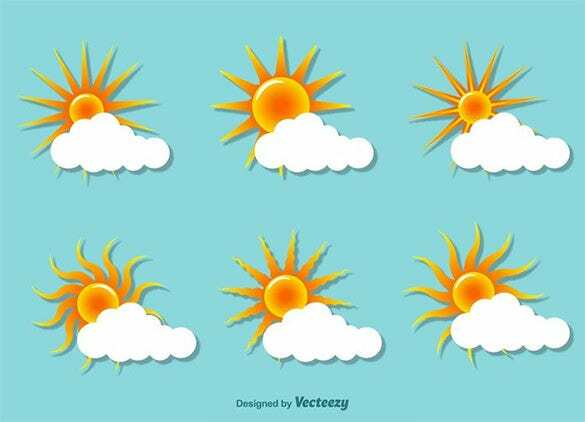 The Sunset flat vector illustration contains six different designs of sun, all of which looks extremely good, hiding behind the cloud ready for the sunset. 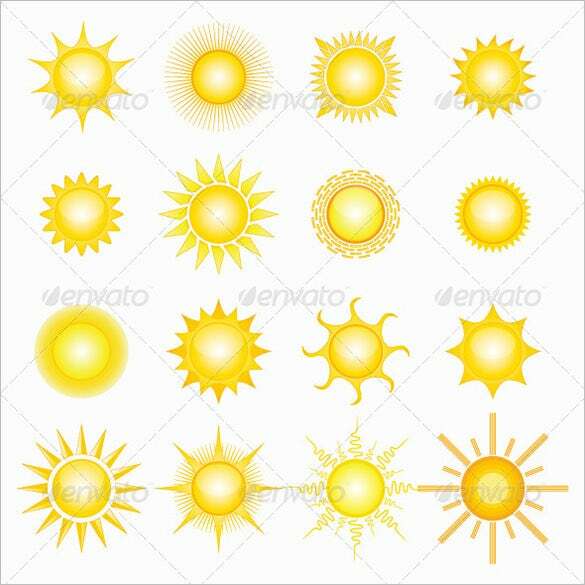 A beautiful sun vector illustration. 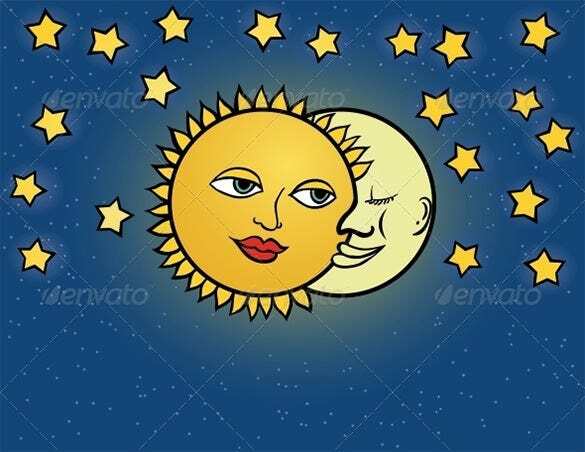 The Sun and moon vector illustrations is a cartoon sun vector that shows the moon romancing the sun in the dark blue sky with the stars surrounding them all around. 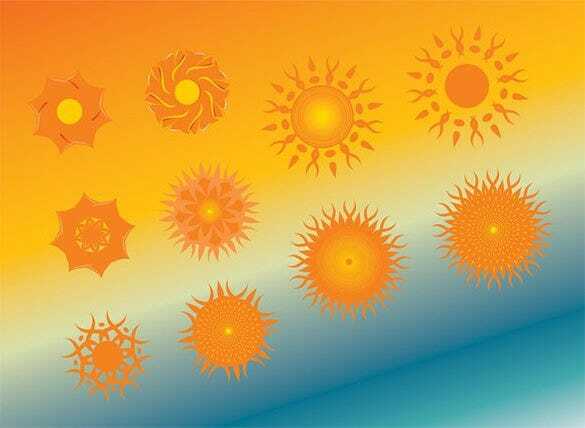 The free summer sun vectors is a beautiful collection of six sun vector designs which looks extremely beautiful. The designs and the visual effects makes them the right choice as emblems. 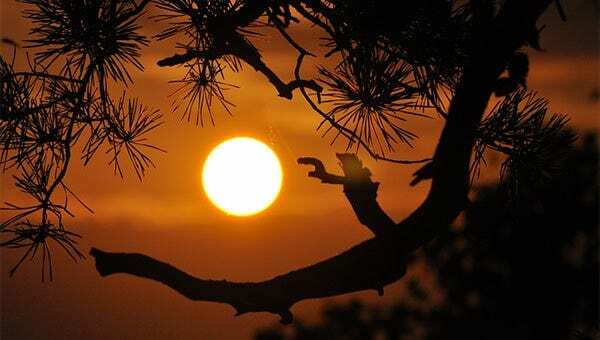 Sun vector icons are also seen in the background in sceneries and images related to nature. 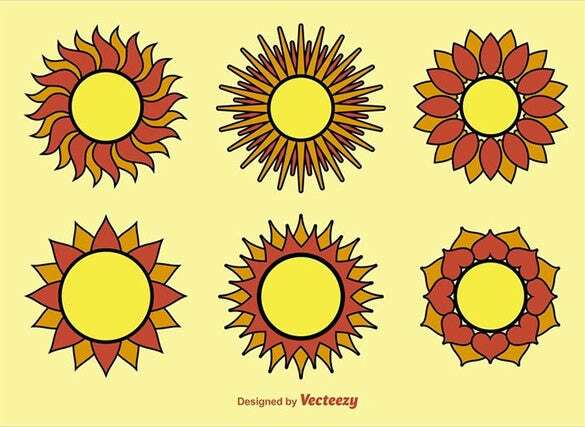 An artistic design of a sun vector can be an eye catchy logo for your business. Also try using it for designing purposes.